People are visual creatures, so it’s little surprise that we’re drawn to – and swayed by – eye-catching images. If you’re an eCommerce store owner, your images can be make or break for your business. Bold, engaging and on-brand images grab customers’ attention, help show off the product in its best light, and reinforce the value and identity of your brand. If you’re a long-time Kong reader, you’ve seen our guides on taking great shots using your smartphone or your snazzy SLR. But a great shot is just the start. Post-production is where the magic happens. In our quest for the perfect product photos, we’ve explored the ins and outs of dozens of photo editors. Here are some of our favourites – ranging from the free and easy to the sophisticated and high-tech. A quick and easy web app that lets you do everything you need in your browser. For quick fixes, filters and simple creative effects, head to the ‘Express’ option. 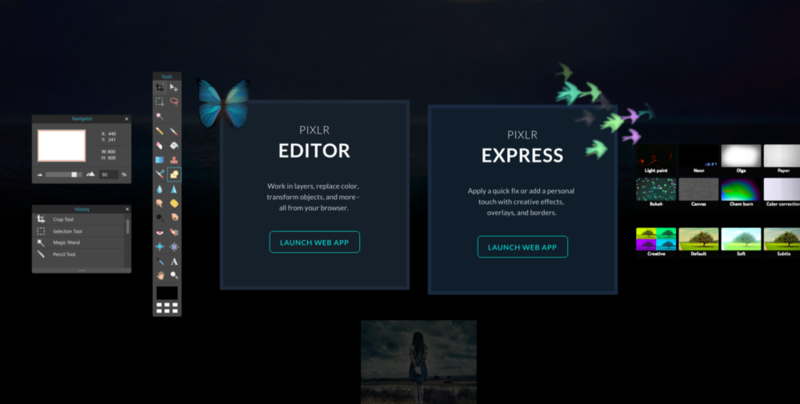 If you’re after some more in-depth touching up, the Pixlr Editor has what you’re after – layers, effects and more. Mac users will love this one. Powerful, fast, and oh-so-easy to use, it lets you enhance and touch up your photos, add text and shapes, and use a range of sketching, drawing and painting tools to show off your artistic flair. If opening a program is too much hassle, keep it all in your browser with Fotor. A simple but robust web app, it lets you apply filters and effects, and whip up a collage of images with a few easy clicks. You can even touch up your product models’ looks with a separate section that lets you smooth out wrinkles and blemishes – and even add a spot of makeup. An open source take on Photoshop, this downloadable editor is incredibly robust and powerful. With plugins galore and magic wand-style tools, it has everything you need to explore the full extent of your latent graphic designer skills. Unimaginatively but accurately named, this browser-based app lets you – wait for it – resize your images and export them to various formats ready for uploading to your store. Think Instagram meets Photoshop. The layers, filters, text and “sticker” effects are just a start – you can also create collages, whip up banners and infographics and pick from a range of pre-designed backgrounds and styles. There’s even a handy “inspiration” section bursting with helpful articles – many of which will be handy to you as an eCommerce store owner. Trim and crop your photos on your iPhone or iPad with just a drag and click. Not sure what to crop out? Croppola will analyse your images and offer some on-point suggestions. Simple and no-frills, PicMonkey offers the basic must-haves for great quality product photography pics – you can crop, rotate and add graphics to your images. If you want to get fancier, try out their “Royale” package via the free trial. Great quality photography is key to boosting your sales and communicating your brand’s story. And with the jam-packed digital landscape of photo editing tools, it’s never been easier to transform a good photo into a superb one. Gone are the days of spending hours retouching and air brushing. The above tools cater to everyone from the photography beginner to the seasoned pro, but they all have something in common: great looking, easy-to-obtain results.